Mobile marketing has been around for a while, but now even small businesses are waking up to the reality that an optimized mobile marketing strategy isn’t a luxury — it’s a necessity. According to Kenshoo’s latest quarterly report on mobile app advertising, over the past year, app developers have increased their spending on Facebook ads alone by 293 percent. This is because mobile app installs are also up by a staggering 346 percent. Rising budgets, increased app usage, and intense competition have compelled marketers to invest heavily. These developments raise an important question: How can businesses stand out in a crowded, yet crucial, marketing channel? A game-changing approach to mobile marketing is all about covering four key areas, starting with Personal. Every tactic on this list comes down to one basic principle: Mobile marketing demands engaging customers on their level with personalized offers delivered directly to them online via a responsive website, social media platform, push notification, or even from within someone’s favorite mobile app. Millennials, in particular, have no tolerance for traditional advertising. Since this technology-savvy group also spends the most time on mobile apps — an average of 30 hours per month on social apps alone — they represent a golden opportunity for brands. For instance, bourbon maker Jim Beam partnered with Snapchat to deliver the platform’s first ever whiskey ads to users 21 years and older using a targeting technique called “age-gating.” This was a powerful one-two approach to personalization. 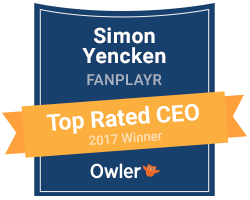 Even if you can’t partner with a giant like Snapchat, innovative platforms like Fanplayr can be used to not only analyze and segment your customers in real time, but also to deliver custom offers, calls-to-action (CTAs), and personalized visuals. For example, CoolCat, a Dutch industry fashion retail leader, saw a 58 percent increase in conversion rate and a 71.5 percent increase in net revenue rate simply by offering contextual intent offers and customized welcome messages using the platform.